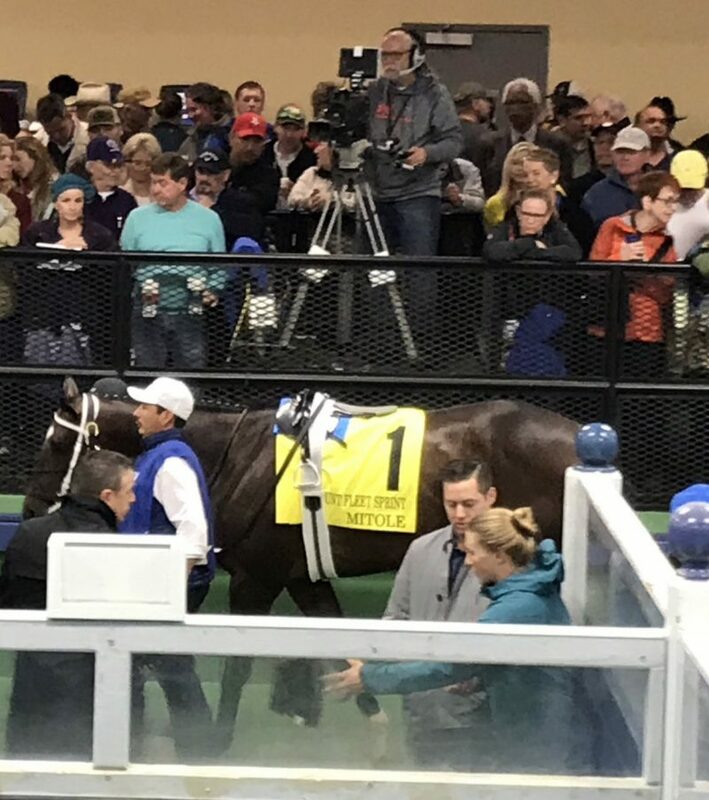 Mitole used his speed and affinity for both Oaklawn Park and the slop to take the Grade 3 Count Fleet Stakes. Going wire to wire in the sloppy going Mitole denied runner-up Whitmore becoming the first three time winner of the Count Fleet. Whitmore won back to back editions. Jockey Ricardo Santana Jr. has been the regular rider for both Mitole and Whitmore. He made the right choice in the Count Fleet siding with super fast Mitole.